WHY MIX IN ONE MINUTE? 1. ACCURACY – THE SPEED OF MIXING OVERCOMES SEGREGATION FOR HIGHER ACCURACY TO CV. 5%. 2. SMALL SYSTEMS, HIGH PRODUCTION, LOWER COST PER TON, AND ARE PREDICTABLE, REPEATABLE, AND RELIABLE. Ribbon Mixers are a good investment for lower volumes and products that need shear. 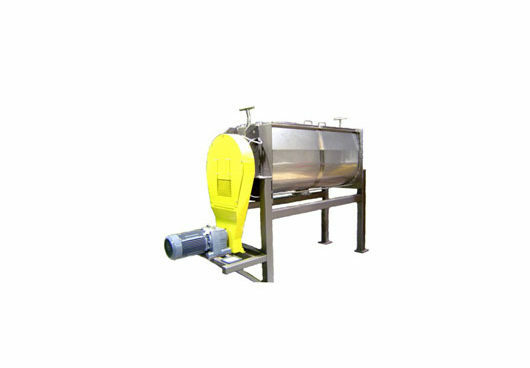 This horizontal single shaft batch mixer is our most popular, as we expected it would be. The price/performance ratio is favorable in many industries. It is very versatile and ideal for adding shear. 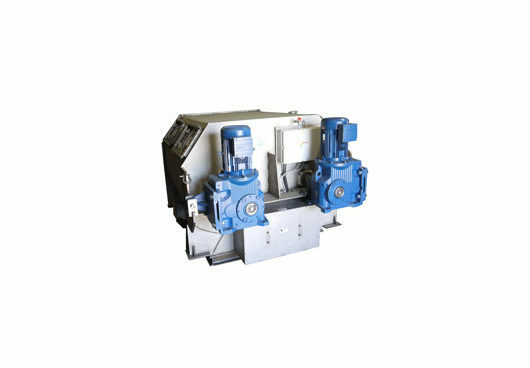 The PHLAUER™ patented mixer rotor is ideal for customizing and introducing high shear. We developed a line of severe duty mixers specifically for this industry. One of many key features are our Shearmakers initially designed for developing color in red and salmon colors in masonry cement. Very popular for low shear mixing, accurate liquid addition, high volume mixing. Examples include coffee beans, ground coffee, cereals, animal feeds, pet and aqua feed coating, convection drying. Paddle mixers typically offer an excellent 30 second to 1 minute mix time which allows greater throughputs in a smaller footprint. Our paddle mixers allow for a perfect mechanical blend of 1/2% standard deviation. 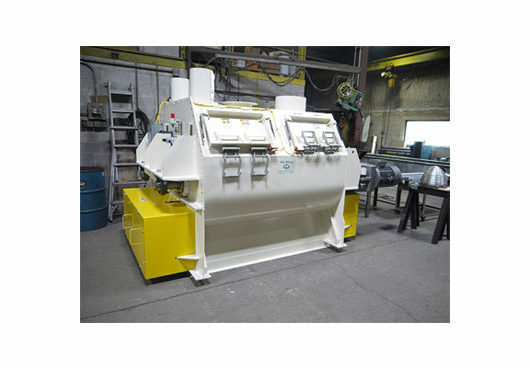 HPM are a line of double rotor mixers customized specifically for the fertilizer industry. Double rotors are used for fast mixing and cycle times (typically one minute). Mixers are available in both batch & continuous configurations & mix to1/2% standard deviation at Cv. 5%. The rotors have no shear and typically mixes different sizes & weights of particles in one minute or less. When you need accurate dry or liquid addition mixing, high volume in a small space, this is where PHLAUER™ Mixers shine. They are predictable, repeatable, and reliable. More companies are using the PHLAUER™ dual shaft mixers for horse, race horse, dairy feeds and vitamin & minerals. 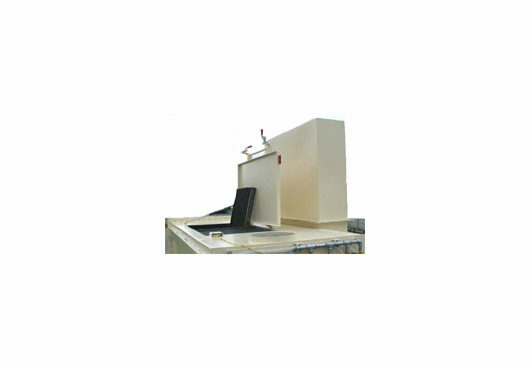 The reason is that they get the highest quality at the lowest cost per ton. A&J Mixing manufactures machinery for the building materials in single and double rotor designs. 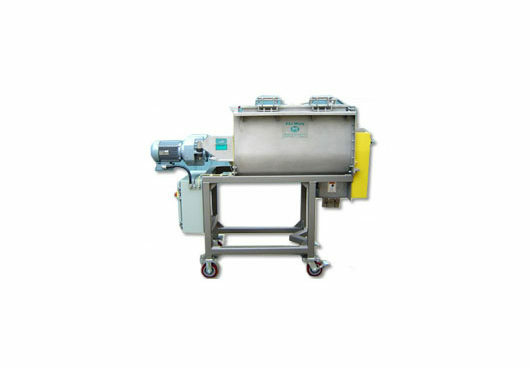 Mixers are available in both batch and continuous configurations. The basic features of PHLAUER™ Mixers have great advantage in the chemicals & plastics industries. Being predictable, repeatable, reliable are so important when repeating colors and extruder performance. 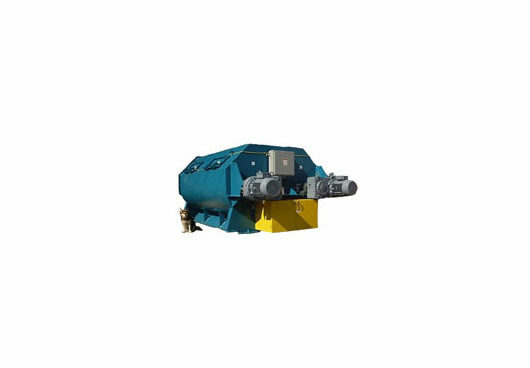 We manufacture Severe Duty machinery for the cement industry in single and double rotor designs. The cement industry is an important part of our sales. Thank you for visiting our web site. If you don’t see exactly what you want, please contact us. Evaluations are free and without obligation. We want your business and we are trying harder to get it.